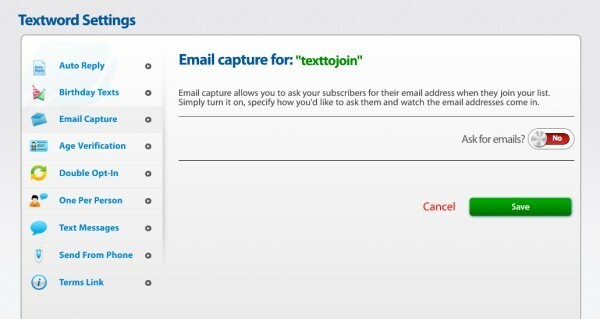 We recently launched our new email capture feature, which allows Slicktext.com users to capture email addresses from their subscribers. When talking to our small business customers, we always encourage them to build a marketing web of communication. We want you to have multiple methods of contact established for two important reasons. First, if you capture the subscriber’s email, and then later down the road they opt out of your text marketing list, you still have a way of staying in touch. Secondly, say you’re running a huge campaign – maybe a Black Friday sale with insane discounts. You send out a text marketing campaign detailing this offer, but your subscribers are too busy to read it, or getting blasted with so many similar messages, they don’t pay attention. If you collected their email, you can promote the sale on this medium as well. Having touch point messages across several different platforms always helps. 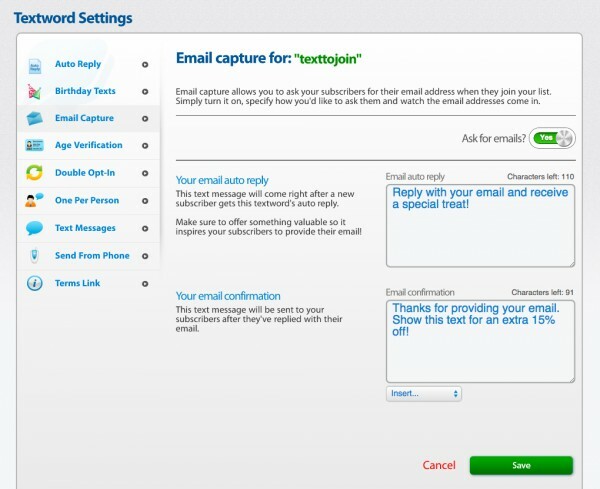 Here’s how to set up our email capture feature in your text marketing dashboard. 1. Select the textword you want to use. Open up your textword settings, and on the left hand side, select Email Capture. 2. Then, where it says Ask for Emails, click the button to switch it to Yes. 3. 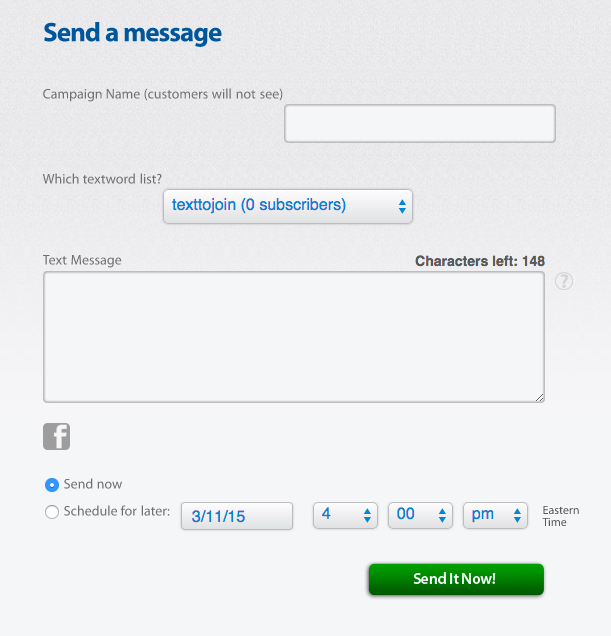 Feel free to customize your email auto reply and confirmation. Once you’ve done that, hit Save. You will then see a confirmation message similar to the one below. Then hit the blue button to start a new message asking subscribers for their email. 4. Draft up your message, and hit send. It’s really that simple. Our email capture feature is a great way to connect with subscribers on another medium. Gather their addresses, and promote accordingly. Remember, similar to text marketing, never send too many messages or unqualified promotions. 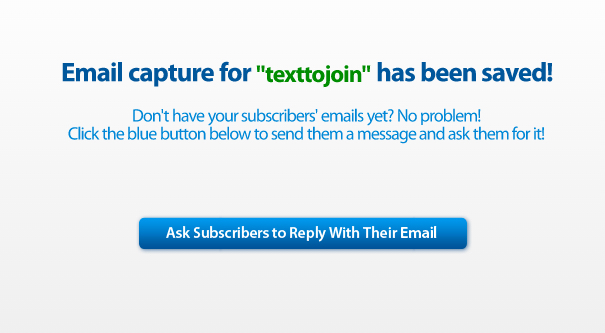 Ready to partner up with the top text marketing provider? Give us a call at 1.800.688.6290.